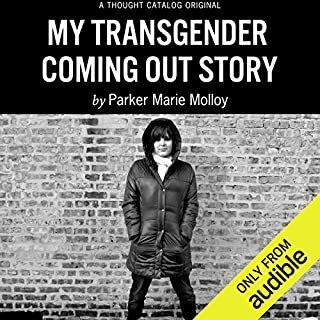 My Transgender Coming Out Story is the memoir of Parker Marie Molloy, a transgender woman from Chicago, detailing her upbringing, the struggles she had coming to terms with her transgender status, her experience starting hormone replacement therapy, and the act of building and sustaining relationships in a post-transition life. She also shares thoughts on gender, coming out, and the concept of self-discovery. She truly hits home about being trans. Beautiful words from an intelligent people. Truly loved it and her.